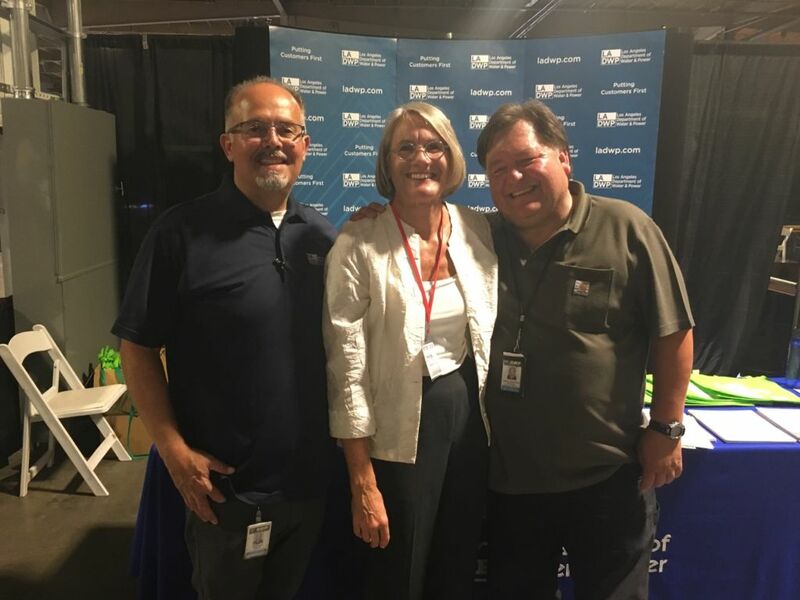 With Albert Santillan and Damon Ayala from LADWP, Janice Stevenor Dale attended the NetZero conference NZ18 in Commerce on this week at the IBEW-11 training facility. Verdical Group created this conference which was attended by 900+ industry thought leaders on sustainability toward net zero spaces, standards and policies, innovative practices in energy, water and design. The facility is a net positive living laboratory with a microgrid, real time energy dashboards, battery storage, a vast solar panel array, battery array and electric vehicle charging stations.